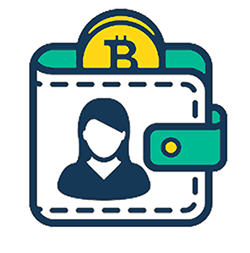 In this article, we will help you set up a Bitcoin wallet that can hold both mainnet and testnet Bitcoin. Setting up a wallet. A mobile wallet for this demo is the best way to go. Most of your users will pay via this method. Because this site uses the Bitcoin testnet, you need a wallet that supports testnet transactions. Lucky for you, the best all-around bitcoin wallets inherently support the testnet. Download “CoPay bitcoin wallet” on the apple app store or play store. In the Apple store the first result is often NOT what you wanted, so choose wisely. You can also use Electrum, which is more full featured, but a bit harder to use. Walk through the setup pages. You will need to back up your wallet, this means you need to have pen and paper handy two write down the 12 words of your passphrase (Sorry — Copay makes you do this before you can move on). At this point, you want to configure the wallet to run on the testnet (the slider). Then click the “Create new Wallet” button. Now you get to request some test bitcoin. At this point press the QR code icon “Receive.” Select your test wallet. It should show that it has no bitcoins. You can touch the QR code to copy it to the clipboard or select the share button in the upper right corner. The test (testnet) and live (mainnet) Bitcoin networks have slightly different addressing, so you can’t get confused between to two and lose real Bitcoin. Mainnet Bitcoin addresses start with a 1 or a 3.